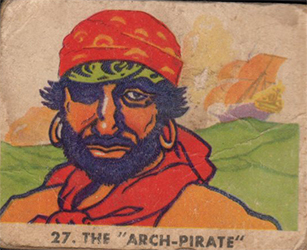 The 1936 Gum Inc. Pirate Pictures Bubble Gum (R109) set features great color artwork of famous Pirates and Pirate scenes and is a favorite with collectors! 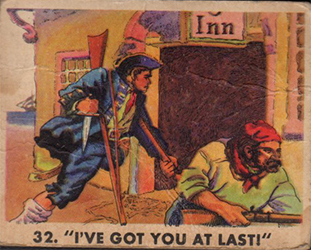 The set contains 72 cards and the cards measure 2-7/16" by 3-1/8" in size. 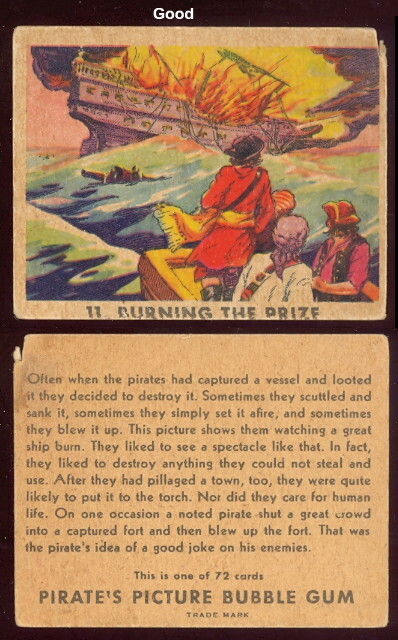 The fronts show a pirate picture along with the card number and caption at the bottom. 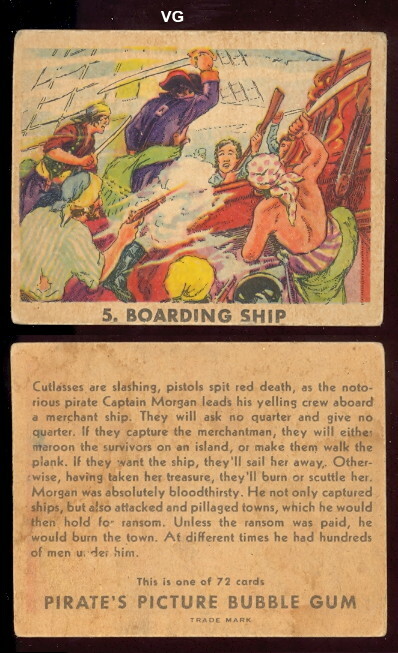 The backs have descriptive stories. A very popular set!